Mexico is situated in an area prone to hurricanes. From June to November, the country may experience strong winds and rains as a result of hurricanes in the Gulf or along the Pacific Coast. 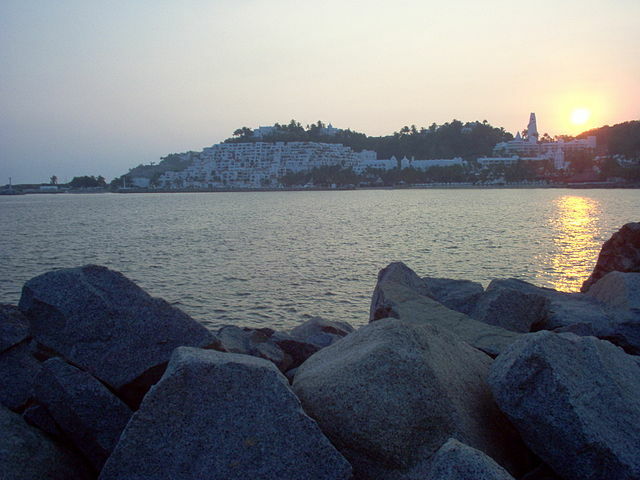 Manzanillo City as well as its surrounding municipality is in the Mexican state of Colima. The city, located on the Pacific Ocean hosts the busiest port in Mexico as measured by total tonnage and volume of containerized cargo. Manzanillo has become one of the country's most important tourist resorts, and its excellent hotels and restaurants continue to meet the demands of both national and international tourism. The city is well known internationally for deep-sea fishing and the green flash phenomenon during sunsets. The city is a destination resort and has many hotels and self-contained resorts, particularly built on peninsula De Santiago jutting out into the Pacific north of the city center. Manzanillo was once the scene of piracy and adventure. Nowadays, its peaceful bays and sophisticated tourist and port infrastructure have made it one of the main tourist resorts and trading centers in the west of Mexico. Manzanillo, consists of two bays with crescent-shaped Beaches, each about 4-miles in length. Ship channels are located at the southeast end of Bahía de Manzanillo. Manzanillo is well connected by Highway 200 to Colima City, to the Northwest and to Puerto Vallarta. Ground transportation is limited to taxis and car rentals. If you are involved in an automobile accident, you will be taken into police custody until it can be determined who is liable and whether you have the ability to pay any penalty. If you do not have Mexican liability insurance, you may be prevented from departing the country even if you require life-saving medical care, and you are almost certain to spend some time in jail until all parties are satisfied that responsibility has been assigned and adequate financial satisfaction received. Drivers may face criminal charges if injuries or damages are serious. Excellent swimming, snorkeling & scuba diving is found in Santiago Bay, a few miles north of the city where a cargo ship sank in a hurricane in 1959. Closer to downtown and is the older tourist section. The newer and more upscale area. A steep outcrop on whose slopes are some of the most beautiful hotels.